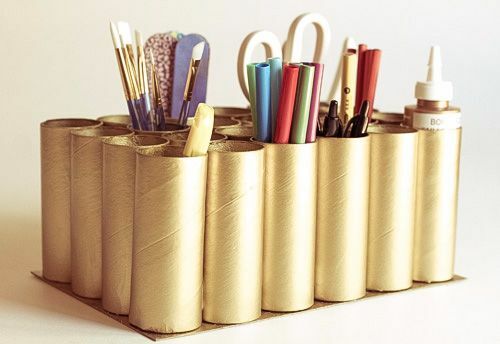 You’ll need to save up quite a few toilet rolls for this project, but it’s so easy to make! The golden metallic color is undeniably fun, but you could use any other color or even decorate your caddy with bits of fabric, glitter, or other decorations. Are you planning to throw a fancy dinner party or another sort of special event? 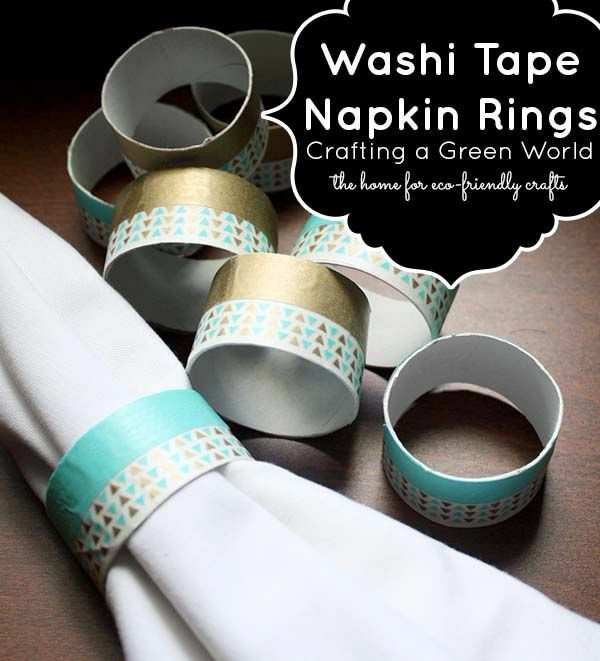 These can be customized to match your dishes, your decor, or even your party theme. I bet you never thought toilet paper rolls would ever make an appearance at your dinner table, but there’s a first time for everything. Why bother buying seedling pots from the store when you can make your own using things you already have on hand? These are eco-friendly and very inexpensive, but the best part is that you can put them straight into the ground when you’re ready to plant your seedlings! 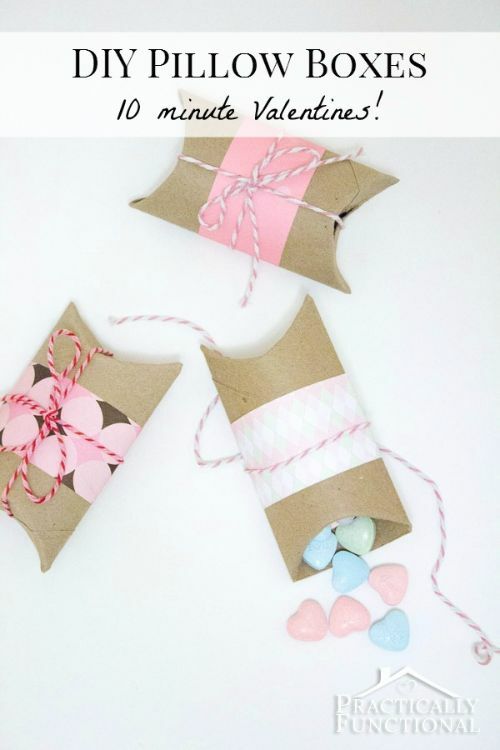 These gift boxes were made for Valentine’s Day, but they’d also make great party favors or thank-you gifts. Fill them with candy, chocolates, or any other tiny present! 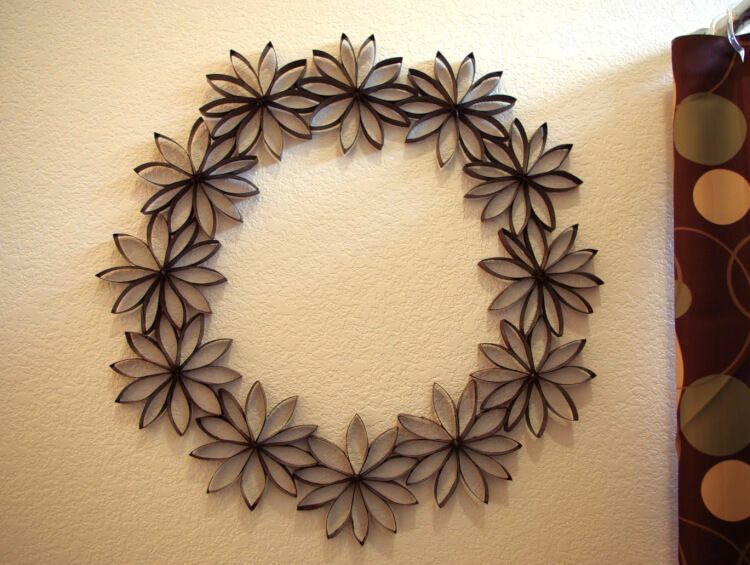 This wreath looks a bit complicated to make, but it’s surprisingly easy! In fact, all you need is a hot glue gun, a good number of toilet paper rolls, and perhaps a bit of spray paint if you don’t want a brown wreath. 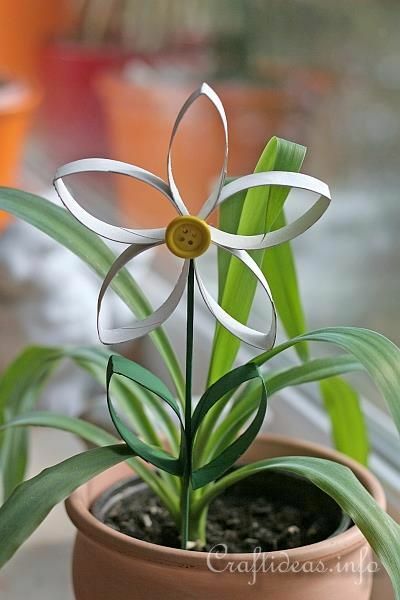 If you don’t want to hang a flower wreath on your wall, why not make a few little cardboard daisies to brighten up your windowsill? You can make some green leaves with toilet paper rolls, or simply stick the flowers into one of your green plants for a pop of color. These little lanterns would look right at home in Chinatown, but I think they’d look even better strung up around my porch! 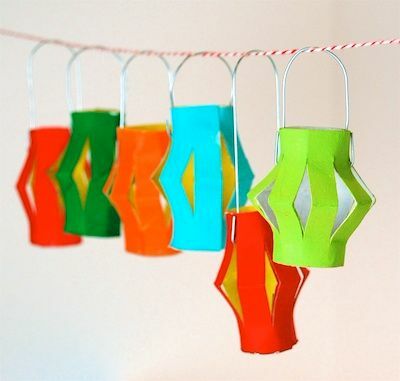 There are so many ways you could display these: sitting on their own, hung up on a garland, or even attached to a string of white fairy lights. 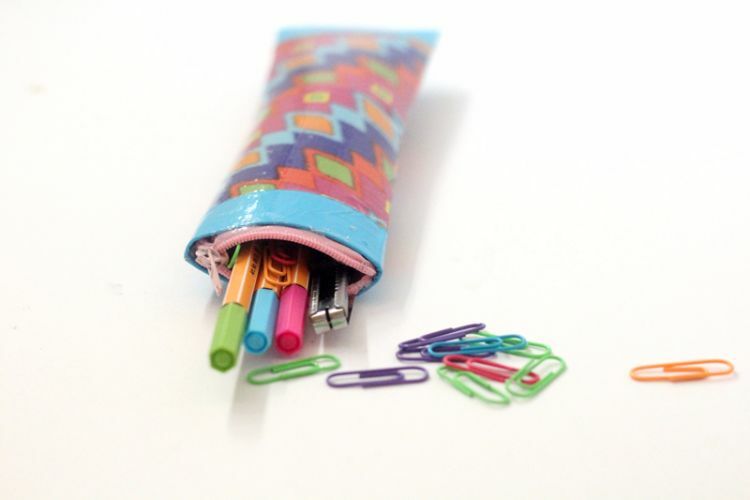 This pencil case looks like it came from the store, but it was made with little more than toilet paper tubes and duct tape! I love the size of it; it’s big enough to hold a few different pens and pencils, but small enough to throw in your purse.